Below a list of journal publications and book chapters per topic , and the list of conference publications (since 2003) per year. To see the list of recent (since 2003) journal publications, book chapters, and conference publications per year, click here. You can see a list of patents here. 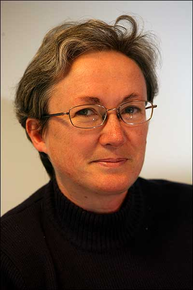 Christine Guillemot is currently 'Directeur de Recherche' at INRIA. She has been the head of the TEMICS research team between 1999 and 2011, and of the SIROCCO team created on January 2012. The SIROCCO research team deals with image modelling, processing, 2D and 3D video compression and communication. She holds a PhD degree from ENST (Ecole Nationale Superieure des Telecommunications) Paris. From 1985 to October 1997, she has been with FRANCE TELECOM/CNET, where she has been involved in various projects in the domain of coding for TV, HDTV and multimedia applications, and co-ordinated a few (e.g. the European RACE-HAMLET project). From january 1990 to mid 1991, she has worked at Bellcore, NJ, USA, as a visiting scientist. Senior board member of the IEEE journal on selected topics in signal processing (2013-2015). She has served on the IEEE IMDSP - International Multidimensional Digital Signal Processing - technical committee (2002-2007) as well as of the IEEE MMSP - International Multimedia Signal Processing - technical committee (2005-2008). She is currently a member of the IEEE IVMSP - Image Video Multimedia Signal Processing - technical committee (since 2013). Keynote chair of the organizing committee of the IEEE International Conference on Image Processing (ICIP) (Paris, 2014). Tutorial chair of the IEEE International Conf. on Image Processing (ICIP), to be held in Athens, in 2018. Several PhD students whom she has supervised have received best student paper awards at top international conferences: IEEE-SIPS 2005, IEEE-MMSP 2007, IEEE-ICIP 2010, IEEE-MMSP 2010, IEEE-ICASSP 2012. One of her PhD students has been among the 8 nominated for the best student award at IEEE-ICIP 2011. She has been vice-chair of Inria's evaluation committee (Sept. 2015 - Dec. 2016). She has been promoted to the grade of "Chevalier de la legion d'Honneur" by decret of the president of French Republic (April 2, 2010), and IEEE fellow in January 2013. She has been nominated IEEE signal processing society distinguished lecturer for the two year period (2017-2018). She is the recipient of the 2019 EURASIP Technical Achievement Society Award . She has received a Google faculty award in 2015, and has received an ERC advanced grant for a project on computational light field imaging (CLIM) which has started on Sept. 1st 2016 (More on the clim project here ). Her areas of interest are 2D and 3D image and video modeling and compression, sparse representations and data dimensionality reduction for a number of image and video processing problems (prediction, inpainting, super-resolution), joint source-channel coding, distributed source coding, video communication over wired and wireless networks. M. Rizkallah, T. Maugey, C. Guillemot, Prediction and Sampling with Local Graph Transforms for Quasi-Lossless Light Field Compression, IEEE Trans. on Image Processing, submitted, March 2019. P. Allain, L. Guillo, C. Guillemot, 4D Anisotropic Diffusion Framework with PDEs for Light Field Regularization and Inverse Problems, IEEE Trans. on Computational Imaging, submitted, Feb. 2019. J. Shi, X. Jiang, C. Guillemot, A framework for learning depth from a flexible subset of dense and sparse light field views, IEEE Trans. on Image Processing, submitted, 2019. M. Le Pendu, C. Guillemot, A. Smolic, A Fourier Disparity Layer Representation for Light Fields, IEEE Trans. on Image Processing, submitted, 2018. M. Rizkallah, X. Su, T. Maugey, C. Guillemot, Geometry-Aware Graph Transforms for Light Field Compact Representation, IEEE Trans. on Image Processing, submitted, 2018. R. Farrugia, C. Guillemot, A Simple Framework to Leverage State-Of-The-Art Single-Image Super-Resolution Methods to Restore Light Fields, IEEE Trans. on Image Processing (TIP), submitted, 2018. R. Farrugia, C. Guillemot, Light Field Super-Resolution using a Low-Rank Prior and Deep Convolutional Neural Networks, IEEE Pattern Analysis and Machine Intelligence (PAMI), to appear, 2019. M. Le Pendu, X. Jiang, C. Guillemot, Light Field inpainting propagation via low rank matrix completion, IEEE Trans. on Image Processing, vol. 27, No. 4, pp. 1981-1993, Jan. 2018. X. Jiang, M. Le Pendu, R. Farrugia, C. Guillemot, Light Field Compression with Homography-based Low Rank Approximation, IEEE J. on Selected Topics on Signal Processing, special issue on light fields image processing, IEEE J-STSP, vol. 11, No. 7, pp. 1132-1145, Oct. 2017. M. Hog, N. Sabater, C. Guillemot, Super-rays for efficient light field processing, IEEE J. on Selected Topics on Signal Processing, special issue on light fields image processing, IEEE J-STSP, vol. 11, No. 7, pp.1187–1199, Oct. 2017. R. Farrugia, C. Galea, C. Guillemot, Super Resolution of Light Field Images using Linear Subspace Projection of Patch-Volumes , IEEE J. on Selected Topics on Signal Processing, special issue on light fields image processing, IEEE J-STSP, vol. 11, No. 7, pp. 1058-1071, Oct. 2017. E. Vural, C. Guillemot, A study of the classification of low-dimensional data with supervised manifold learning, J. of Machine Learning Research (JMLR), 2018. R. Farrugia, C. Guillemot, Face Hallucination using Linear Models of Coupled Sparse Support, IEEE Trans. on Image Processing, vol. 26, No. 9, pp. 4562-4577, July 2017. M. Alain, C. Guillemot, D. Thoreau, P. Guillotel, Scalable image coding based on epitomes, IEEE Trans. on Image Processing, Vol. 26; No. 7, pp. 3624–3635, July 2017. X. Su, T. Maugey, C. Guillemot, Graph-based representation for multiview images with complex camera configurations, IEEE Trans. on Image Processing, vol.26, No.6, pp.2644–2655, June 2017. E. Vural and C. Guillemot, Out-of-sample generalizations for supervised manifold learning for classification, IEEE Trans. on Image Processing, vol.25, No.3, pp.1410-1424, March. 2016. M. Ebdelli, O. Le Meur, C. Guillemot, "Video Inpainting With Short-Term Windows: Application to Object Removal and Error Concealment", IEEE Trans. on Image Processing, vol. 24, No. 10, pp. 3034-3047, Oct. 2015. M. Alain, C. Guillemot, D. Thoreau and P. Guillotel, “Locally Linear Embedding Methods for Inter Image Prediction”, Eurasip journal on signal processing: image communication, 37, pp.47-57, Sept. 2015. M. Bevilacqua, A. Roumy, C.Guillemot, M. Alberi-Morel, «Single image super-resolution via linear mapping of interpolated self-examples” , IEEE Trans. on Image Processing, vol. 23, No. 12, 5334-5347, Oct.2014. C. Guillemot and O. Le Meur, “Image inpainting: Overview and recent advances”, IEEE Signal Processing Magazine, vol. 31 (1), pp.127-134, Jan. 2014. O. Le Meur, M. Ebdelli, C. Guillemot, « Hierarchical super-resolution-based inpainting», IEEE Trans. On Image Processing, vol. 22 No. 10, pp. 3779-3790, Oct. 2013. M. Turkan, C. Guillemot, “Dictionary learning for image prediction”, International Journal on Visual Communication and Image Representation, Vol. 24, No. 3, pp. 426-437, April 2013. S. Cherigui, C. Guillemot, D. Thoreau, P. Guillotel, P. Perez, "Correspondence map-aided neighbor embedding for image intra prediction", IEEE Trans. On Image Processing, vol. 22, No. 3, pp. 1161-1174, March 2013. M. Turkan, C. Guillemot, "Image prediction based on neighbor embedding methods", IEEE Trans. On Image Processing, Vol.21, No.4, pp. 1885-1898, April 2012. J. Zepeda, C. Guillemot, E. Kijak, "Image Compression using the Iteration-tuned and Aligned Dictionary", IEEE Journal of Selected Topics in Signal Processing, special issue on "Adaptive sparse representation of data and applications in signal and image processing", vol. 5, No. 5, pp. 1061-1073, Sept. 2011. A. Martin, J.J. Fuchs, C. Guillemot, D. Thoreau, " Sparse representations for spatial prediction and texture refinement", special issue on "emerging techniques for high performance video coding" of the international journal on Visual Communication and Image representation (JVCI), Jan. 2011. G. Rath and C. Guillemot, "On a simple derivation of the complementary matching pursuit", Elsevier journal on Signal Processing, July 2009. J. Begaint, D. Thoreau, P. Guillotel, C. Guillemot, “Region-based prediction for image compression inthe clouds”, IEEE Trans. on Image Processing, vol. 27, No. 4, pp.1835-1846, Dec. 2017. D. Gommelet, A. Roumy, C. Guillemot, M. Ropert, J. Le Tanou, Gradient-Based TMO for Rate-Distortion Optimized Backward-Compatible HDR Compression, IEEE Trans. on Image Processing,vol. 26, No. 12, pp. 5936-5949, Aug 2017. M. Le Pendu, C. Guillemot, D. Thoreau, Inter-Layer Prediction of Color in High Dynamic Range Image Scalable Compression, IEEE Trans. on Image Processing, vol. 25, No. 8, pp. 3585-3596, Aug. 2016. M. Le Pendu, C. Guillemot, D. Thoreau, “Local Inverse Tone Curve Learning for High Dynamic Range Scalable Compression”, IEEE Trans. on Image Processing, IEEE Trans. on Image Processing, vol. 24, No. 12, Dec. 2015. M. Alain, C. Guillemot, D. Thoreau and P. Guillotel, “Locally Linear Embedding Methods for Inter Image Prediction”, Eurasip journal on signal processing: image communication, accepted, Aug. 2015. C. Morand, J. Benois-Pineau, J-P. Domenger, J. Zepeda, E. Kijak and C. Guillemot, “Scalable object-based video retrieval in HD video databases”, Eurasip Journal on Signal Processing: Image Communication, Volume 25 Issue 6, July, 2010. Z. Chen and C. Guillemot, "Perceptually-friendly H.264/AVC Video Coding based on a Foveated-Just-Noticeable Distortion model", IEEE Trans. on Circuits and Systems for Video Technology, vol. 20, Issue. 6, pp. 806-819, June 2010. R. Ansari, C. Guillemot and N. Memom, “JPEG and JPEG-2000”, The essential guide to image processing, Edited by A. Bovik, Elsevier Inc., 2008. W. Yang, G. Rath and C. Guillemot, “Scalable video coding with novel decorrelation techniques”, Eurasip Journal on Applied Signal Processing, special issue on video adaptation for heterogeneous environments, Volume 2007, Article ID 54342, 15 pages, 2007. N. Memom, C. Guillemot and R. Ansari, "The JPEG lossless standard", chapter in "The Handbook in Image and Video Processing ", Eds Prentice-Hall, Editor Alan Bovik,2004. R. Ansari, C. Guillemot and N. Memom, "The JPEG lossy standard", chapter in "The Handbook in Image and Video Processing ", Eds Prentice-Hall, Editor Alan Bovik, 2004. P. Rault et C. Guillemot "Indexing algorithms for Zn, An, Dn, and Dn++ Lattice Vector Quantizers ", IEEE Transactions on Multimedia, vol. 3, No. 4, pp.395-404, Dec. 2001. C. Guillemot and S. Pateux, "Elements de theorie de l'information et de communication video", Chapter in book "Images et video: compression et codage", Eds Hermes 2001. H. Nicolas and C. Guillemot, "Normes de compression video", chapter in book "Images et video: compression et codage", Eds Hermes 2001. G. Rath, W. Yang and C. Guillemot, « Compression of Laplacian Pyramids through Orthogonal Transforms and Improved Predictions »”, IEEE Trans. on Signal Processing, vol. 17, no. 9, pp. 1587-1604, Sept. 2008. V. Chappelier and C. Guillemot, "Oriented wavelet transform for image compression and de-noising", IEEE Trans. on Image Processing, Vol. 15, No. 10, pp. 2892-2903, Oct. 2006. Patrick Rault et Christine Guillemot "Symmetric Delay Factorization : Generalized Framework for Paraunitary Filter Banks", IEEE Transactions on Signal Processing, vol. 47, No. 12, pp. 3315-3325, Dec. 1999. C. Guillemot, P. Rault and P. Onno, ``Time-invariant and time-varying multirate filter banks: Application to image coding'', Annals of Telecom, May-June 1998. C. Guillemot, E. Cetin and R. Ansari, "Nonrectangular Wavelet Representation of 2-D Signals. Application to Image Coding", chapter in Book "Wavelets in Image Communication", Eds Elsevier Press 1994. C. Guillemot and R. Ansari, "Two-Dimensional Filters with Wideband Circularly Symmetric Frequency Response", IEEE Transactions on Circuits and Systems, vol. CAS-41, pp.703-707, October 1994. R. Ansari, C. Guillemot and J.F. Kaiser, "Wavelet Construction Using Lagrange Interpolation Filters," IEEE Transactions on Circuits and Systems, vol. CAS-38, pp.1116-1118, September 1991. S Marinkovic and C. Guillemot, "Joint source-channel coding by means of over-sampled filter bank codes", Eurasip journal on applied signal processing, vol. 2006, No. 7, 2006. S. Marinkovic et C. Guillemot, " Joint Source-channel Coding Based on Cosine Modulated Filter Banks for Erasure Resilient Signal Transmission", Eurasip journal on applied signal processing, No. 4, pp. 510-524, April 2005. G. Rath et C.Guillemot, "Characterization of a class of error correcting frames for robust signal transmission over wireless communication channels ", accepted for publication in Eurasip journal on applied signal processing, special issue on design of cross-layer communication systems ", No. 2, pp. 229-241, February 005. G. Rath et C. Guillemot, "Subspace algorithms for error localization with quantized DFT codes ", IEEE Trans. on communications, vol. 52, No. 12, pp. 2115-2124, Dec. 2004. G Rath et C. Guillemot, "Subspace-based method for error and erasure recovery with DFT codes for wireless channels", IEEE Trans. on Signal Processing, vol. 52, No. 11, pp. 3241-3252, Nov. 2004. R. Motwani et C. Guillemot, " Tree-structure oversampled filter banks as joint source-channel codes : application to image transmission over erasure channels ", IEEE Trans. on signal processing, pp. 2584-2599, Sept. 2004. G Rath et C. Guillemot, "Recent advances on DFT codes based quantized frame expansions for erasure channels", Elsevier journal on Digital Signal Processing, vol. 14, No. 4, pp. 332-354, July 2004. G. Rath et C. Guillemot, "Frame-theoretic analysis of DFT codes with erasures", IEEE Transactions on Signal Processing, vol. 52, No. 2, pp. 447-460, Feb. 2004. G. Rath et C. Guillemot, "Performance analysis and recursive syndrome decoding of DFT codes for bursty erasure recovery", IEEE Trans. on Signal Processing, vol. 51, No. 5, pp. 1335-1350, May 2003. S. Malinowski, H. Jegou and C. Guillemot, "Posterior marginals computation on aggregated state models for soft source decoding", IEEE Trans. on communication, vol. 57, No. 3, pp. 888-892, Apr.2009. S. Malinowski, H. Jegou and C. Guillemot, "Error recovery and new state models for quasi-arithmetic codes", Eurasip journal on applied signal processing, Volume 2008, Issue no.1, Article ID 752840, 12 pages, Jan. 2008. X. Jaspar, C. Guillemot and L. Vandendorpe, "Joint source-channel turbo techniques: from theory to practice", invited paper in Proceedings of the IEEE, Special issue on the turbo principle, vol. 95, No. 6, June 2007. A. Guyader, E. Fabre, C. Guillemot and M. Robert, "Joint source and channel turbo decoding of entropy coded sources", IEEE Journal on Selected Areas in Communications, special issue on the turbo principle: from theory to practice, vol. 19, No. 9, pp.1680-1696, Sept. 2001. S. Malinowski, H. Jegou and C. Guillemot, "Synchronization recovery and state space reduction for efficient soft decoding of variable length codes", IEEE Trans. on Information Theory, vol. 53, No. 1, pp. 368-377, Jan. 2007. M. Jeanne, C. Guillemot, T. Guionnet and F. Pauchet “Error-resilient decoding of context-based adaptive binary arithmetic codes”, Signal, Image and Video Processing Journal, Springer, vol. 1, No. 1, pp. 77-87, Apr. 2007. H. Jegou, M. Jeanne and C. Guillemot, "A new set of state models for soft decoding of Variable Length Codes", IEEE Trans. on Communication, 2005. C. Guillemot et P. Siohan, " Joint source-channel decoding with soft information : overview and recent advances ", accepted for publication in Eurasip journal on applied signal processing, numéro special " turbo processing ", 2004. C. Guillemot et P. Christ, " Joint source-channel coding as a framework for 4G wireless multimedia ", Eurasip computer communication journal, special issue on " Research directions for 4th generation networks ", vol.27, No. 8 , pp. 762-779, May 2004. T. Guionnet et C. Guillemot, "Soft and joint source-channel decoding of quasi-arithmetic codes", Eurasip journal on applied signal processing, No. 3, pp. 393-411, March 2004. T. Guionnet et C. Guillemot, "Soft decoding and synchronization of arithmetic codes for image transmission over error-prone channels", IEEE Trans. on Image Processing, vol. 12, No. 12, pp 1599-1609, Dec. 2003. H. Jegou and C. Guillemot, Entropy coding with variable length re-writing rules, IEEE Trans. on Communication, vol. 55, No. 3, pp. 444-452, March 2007. H.Jegou and C. Guillemot, Error-resilient first-order multiplexed codes : performance bounds, design and decoding algorithms, IEEE trans. on Signal Processing, Vol. 54, No. 4, pp. 1483-1492, Apr. 2006. H. Jegou and C. Guillemot, Progressive and error resilient transmission strategies for VLC encoded signals over noisy channels, Eurasip journal on applied signal processing, special issue on video analysis and coding for robust transmission, vol. 2006, No. 5, 2006. H. Jegou et C. Guillemot, Robust multiplexed codes for compression of heterogeneous data, IEEE Transactions on Information Theory, vol. 51, No. 4, pp. 1393-1403, April 2005. V. Toto-Zarasoa, A. Roumy, C. Guillemot, Source modeling for distributed video coding, IEEE Trans. On Circuits and Systems for Video Technology, Vol. 22, No.2, pp. 174–187, Feb. 2012. V. Toto-Zarasoa, A. Roumy, C. Guillemot, Maximum likelihood BSC parameter estimation for the Slepian-Wolf problem, IEEE Communication Letters, vol. 15, No.2, pp. 232-234, Feb. 2011. S. Malinowski, X.Artigas, C. Guillemot, L. Torres, Punctured Quasi-Arithmetic Codes for Distributed Source Coding, IEEE Trans on Signal Processing, vol. 57, No. 10, pages 4154-4158, Oct. 2009. O. Crave, C. Guillemot, B. Pesquet-Popescu, Multiple Description scalar quantization with side information: Practical scheme and iterative decoding, Eurasip Journal on Advances in Signal Processing, JASP, Volume 2009 (2009), Article ID 170924. O. Crave, C. Guillemot, B. Pesquet-Popescu, C. Tillier, Distributed Temporal Multiple Description Coding for Robust Video Transmission, Eurasip journal on wireless communication and networking, special issue on Multimedia over Wireless Networks, Volume 2008 (2008), Article ID 183536, 13 pages. C. Guillemot and A. Roumy, Towards constructive Slepian-Wolf coding schemes, chapter in the edited book on distributed source coding, Edited by M. Gaspar and P.L. Dragotti, Elsevier Inc., 2008. C. Guillemot, F. Pereira and L. Torres, Editorial of the special issue on distributed video coding, Eurasip journal on image communication, Elsevier Science Inc., vol. 23, no. 5, pp. 337-338, June 2008. F. Pereira, L. Torres, C. Guillemot, T. Ebrahimi, R. Leonardi, J. Ostermann, Distributed Video Coding Selecting the Most Promising Application Scenarios, Eurasip journal on image communication, Elsevier Science Inc., vol. 23, no. 5, pp. 339-352, June 2008. C. Guillemot, F. Pereira, L. Torres, T. Ebrahimi, R. Leonardi, J. Ostermann, Distributed Monoview and Multiview Video Coding: Basics, Problems and Recent Advances, IEEE signal processing magazine, Special Issue on Signal Processing for Multiterminal Communication Systems, pp. 67-76, Sept. 2007. M. Maître, C. Guillemot and L. Morin, 3D scene modelling for distributed video coding, IEEE Trans. on Image Processing, vol. 16, No. 5, pp. 1246-1257, May 2007. K. Lajnef, C. Guillemot and P. Siohan, "Distributed coding of three binary and Gaussian correlated sources using punctured turbo codes", Eurasip journal on signal processing, special issue on distributed source coding, vol. 86, pp. 3131-3149, Apr. 2006. L. Morin, O. Le Meur, C. Guillemot, V. Jantet and J. Gautier, Synthèse de vues intermédiaires », Chapter in Vidéo 3D: Capture, traitement et diffusion. L. Lucas, C. Loscos et Y. Remion (Editors), Hermès, 2013. V. Jantet, C. Guillemot, L. Morin, “Joint Projection Filling method for occlusion handling in Depth-Image-Based Rendering”, International journal on 3D research, special issue on “3DTV”, Ed. Springer, Vol.2, No.4, Dec. 2011. O. Crave, C. Guillemot, B. Pesquet-Popescu, C. Tillier, Distributed Temporal Multiple Description Coding for Robust Video Transmission, Eurasip journal on wireless communication and networking, special issue on "Multimedia over Wireless Networks", Volume 2008 (2008), Article ID 183536, 13 pages. O. Crave, B. Pesquet-Popescu, C. Guillemot, Robust video coding based on multiple scalar quantization with side information, IEEE Trans. on Circuits and Systems for Video Technology, vol. 20, Issue. 6, pp. 669-679, June 2010. J. Vieron et C. Guillemot, Real-time constrained TCP-compatible rate control for video over the Internet, IEEE Transactions on Multimedia, vol. 6, No. 4, Aug. 2004. J. Vieron, T. Turletti, K. Salamatian and C. Guillemot, Source and channel adaptive rate control for multicast layered video transmission based on a clustering algorithm, Eurasip journal on applied signal processing, special issue on Multimedia Over IP and Wireless Networks, No.2, 158-176, Feb. 2004. C. Guillemot and T. Turletti, Algorithmes de codage et de controle de transmission video sur reseaux heterogenes, chapter in book "Systèmes Multimedia Communicants", Eds Hermes 2000. Xavier Henocq et Christine Guillemot, Source adaptive error control for real-time video over the Internet, special issue "image and video" du journal "Calculateur Parallèle", vol. 12, N° 3-4, 2000. F. Le Leannec, F. Toutain, C. Guillemot, Packet Loss Resilient MPEG-4 Compliant video Coding for the Internet, Eurasip Journal on Image Communication, Special Issue on 'Real Time Video Over the Internet', Sept. 1999. C. Guillemot et R. Ansari, Layered Coding Schemes for Video Transmission on ATM Networks, Journal of Visual Communication and Image Representation, Sept. 1994. C. Galea, C. Guillemot, Denoising of 3D point clouds constructed from light fields, IEEE International Conference on Acoustics, Speech, and Signal Processing, May 2019. P. Allain, L. Guillo, C. Guillemot, Light fields denoising using 4D anisotropic diffusion, IEEE International Conference on Acoustics, Speech, and Signal Processing, May 2019. X. Jiang, J. Shi, C. Guillemot, A learning based depth estimation framework for 4D densely and sparsely sampled light fields, IEEE International Conference on Acoustics, Speech, and Signal Processing, May 2019. M. Rizkallah, T. Maugey, C. Guillemot, Graph-based Spatio-angular Prediction for Quasi-Lossless Compression of Light Fields, Data Compression Conference, DCC, March 2019. E. Dib, M. Le Pendu, X. Jiang, C. Guillemot, Super-rays based low rank approximation for light fields compression, Data Compression Conference, DCC, March 2019. J. Begaint, F. Galpin, P. Guillotel, C. Guillemot, Deep frame interpolation for video compression, Data Compression Conference, DCC, March 2019. F. Hawary, G. Boisson, C. Guillemot, P. Guillotel, Compressive 4D Light Field Reconstruction Using Orthogonal Frequency Selection, IEEE International Conf. on Image Processing, 2018. M. Le Pendu, A. Smolic, C. Guillemot, High Dynamic Range Light Fields via Weighted Low Rank Approximation, IEEE International Conf. on Image Processing, 2018. X. Jiang, M. Le Pendu, C. Guillemot, Depth estimation with occlusion handling from a sparse set of light field views, IEEE International Conf. on Image Processing, 2018. P. Allain, L. Guillo, C. Guillemot, Fast light field inpainting using angular warping with a color-guided disparity interpolation, ACIVS, 2018. M. Rizkallah, X. Su, T. Maugey, C. Guillemot, Graph-based Transforms for Predictive Light Field Compression based on Super-Pixels, IEEE International Conf. on Acoustics, Speech and Signal Processing, 2018. J. Begaint, F. Galpin, P. Guillotel, C. Guillemot, Region-Based Models for Motion Compensation in Video Compression, PCS June 2018. E. Miandji, J. Unger, C. Guillemot, Multi-Shot Single Sensor Light Field Camera Using a Color Coded Mask, European Conference on Signal Processing, Eusipco 2018. X. Su, M. Rizkallah, T. Maugey, C. Guillemot, Rate-Distortion Optimized Super-Ray Merging for Light Field Compression, special session on light field coding , European Signal Processing Conf., EUSIPCO, Roma, 3-7 Sept., 2018. M. Hog, N. Sabater, C. Guillemot, Dynamic Super-Rays for Efficient Light Field Video Processing, BMVC, Sept. 2018. X. Jiang, M. Le Pendu, R. Farrugia, S. Hemami, C. Guillemot, Homography-based low rank approximation of light fields for compression , IEEE Intl. Conf. on Acoustic, Speech and Siganl processing (IEEE-ICASSP), March 2017. T. Dumas, A. Roumy, C. Guillemot, Image compression with stochastic winner-take-all autoencoder, IEEE Intl. Conf. on Acoustic, Speech and Siganl processing (IEEE-ICASSP), March 2017. X. Jiang, M. Le Pendu, C. Guillemot, Light field compression using depth image based view synthesis, ICME Hot3D workshop, July, 2017. F. Hawary, C. Guillemot, D. Thoreau, G. Boisson, Scalable light field compression scheme using sparse reconstruction and restoration, IEEE Intl. Conf. on Image Processing (IEEE-ICIP), Sept. 2017. X. Su, M. Rizkallah, T. Maugey, C. Guillemot,Graph-based light fields representation and coding using geometry information, IEEE International Conference on Image Processing (ICIP), Sept. 2017. M. Hog, N. Sabater, C. Guillemot, Light-Field Segmentation Using a Ray Based Graph Structure, European Conf. on Computer Vision, ECCV, 2016. R. Farrugia, C. Guillemot, Model and Dictionary guided Face Inpainting in the Wild, New Trends in Image Restoration and Enhancement Workshop jointly organized with ACCV 2016. R. Ferrugia, C. Guillemot, Robust Face Hallucination Using Syntax Based Dictionary Construction, IEEE Intl. Conf. on Image Processing (IEEE-ICIP), 2016. M. Alain, C. Guillemot, D. Thoreau, P. Guillotel, Learning Clustering-Based Linear Mappings For Quantization Noise Removal, IEEE Intl. Conf. on Image Processing (IEEE-ICIP), 2016. X. Su, T. Maugey, C. Guillemot, Graph-Based Representation for Multiview Images with Complex Camera Configurations, IEEE Intl. Conf. on Image Processing (IEEE-ICIP), 2016. D. Gommelet, A. Roumy, C. Guillemot, M. Ropert, Rate-Distortion Optimization of a Tone Mapping with SDR Quality Constraint for Backward-Compatible High Dynamic Range Compression, IEEE Intl. Conf. on Image Processing (IEEE-ICIP), 2016. B. Huang, F. Henry, C. Guillemot, P. Salembier, Mode dependent vector quantization with a rate-distortion optimized codebook for residue coding in video compression, IEEE Intl. Conf. on Acoustics and Signal Processing (IEEE-ICASSP), 2015. T. Maugey, P. Frossard, C. Guillemot, Guided Inpainting with cluster-based auxiliary information, IEEE Intl. Conf. on Image Processing (IEEE-ICIP), 2015. M. Le Pendu, C. Guillemot, D. Thoreau, Local Inverse Tone Curve Learning for High Dynamic Range Scalable Compression, IEEE Intl. Conf. on Image Processing (IEEE-ICIP), 2015. M. Turkan, D. Toreau, P. Guillotel, C. Guillemot. M. Alain, Epitomic texture factorization via neighbor-embedding, IEEE Intl. Conf. on Image Processing (IEEE-ICIP), 2015. M. Le Pendu, C. Guillemot, D. Thoreau, "Adaptive Re-quantization for High Dynamic Range Video Compression", IEEE Intl. Conf. on Acoustics and Signal Processing (IEEE-ICASSP), 2014. S. Cherigui, M. Alain, C. Guillemot, D. Thoreau, P. Guillotel, "Epitome Inpainting with In-Loop Residue Coding for Image Compression", IEEE Intl. Conf. on Image Processing (IEEE-ICIP), 2014. N. Dhollande, O. Le meur, C. Guillemot, "HEVC Intra Coding of Ultra HD Video with Reduced Complexity", IEEE Intl. Conf. on Image Processing (IEEE-ICIP), 2014. J.C. Ferreira, O. Le Meur, C. Guillemot, E. Da Silva, G. Carrijo, "Single Image Super-Resolution Using Sparse Representations with Structure Constraints", IEEE Intl. Conf. on Image Processing (IEEE-ICIP), 2014. M. Alain, C. Guillemot, D. Thoreau, P. Guillotel, "Fast clustering-based epitome construction", European Signal Processing Conference (EUSIPCO), 2014. M. Le Pendu, C. Guillemot, D. Thoreau, "Rate Distortion Optimized Tone Curve for High Dynamic Range Compression", European Signal Processing Conference (EUSIPCO), 2014. C. Guillemot, S. Cherigui and D. Thoreau, « K-NN search local learning based on regression for neighbor embedding based image prediction ”, IEEE International Conference on Acoustics and Signal Processing (IEEE-ICASSP), 2013. C. Guillemot, M. Turkan, O. Le Meur, M. Ebdelli, « Image inpainting using LLE-LDNR and linear subspace mappings », IEEE International Conference on Acoustics and Signal Processing (IEEE-ICASSP), 2013. M. Bevilacqua, A. Roumy, C. Guillemot, M.-L. Alberi Morel, “Compact and coherent dictionary for example-based super-resolution”, IEEE International Conference on Acoustics and Signal Processing (IEEE-ICASSP), 2013. Jeremy Aghaei-Mazaheri, C. Guillemot, C. Labit,” Learning a tree-structured dictionary for efficient image representation with adaptive sparse coding”, IEEE International Conference on Acoustics and Signal Processing (IEEE-ICASSP), 2013. M. Ebdelli, O. Le Meur, C. Guillemot, « Analysis of patch- based similarity metrics: Application to denoising », IEEE International Conference on Acoustics and Signal Processing (IEEE-ICASSP), 2013. M. Alain, S. Chérigui, C. Guillemot, D. Thoreau, P. Guillotel, “Locally linear embedding methods for inter image coding”, IEEE Intl. Conf. on Image Processing (IEEE-ICIP), 2013. M. Bevilacqua, A. Roumy, C. Guillemot, M.-L. Alberi Morel, “Super-resolution using Neighbor Embedding of Back-projection residuals”, Intl. Conf. on Digital Signal Processing (DSP), 2013. S. Cherigui, C. Guillemot, D. Thoreau, P. Guillotel, P. Perez, " Hybrid Template and Block Matching for Image Intra Prediction ", IEEE International Conference on Acoustics and Signal Processing (IEEE-ICASSP), 2012, (best student paper award) . M. Bevilacqua, A. Roumy, C. Guillemot, M.-L. Alberi Morel, "Neighbor Embedding Based Single-Image Super-Resolution using Semi-Nonnegative Matrix Factorization", IEEE International Conference on Acoustics and Signal Processing (IEEE-ICASSP), 2012. C. Guillemot and M. Turkan, "Neighbor Embedding with Non-negative Matrix Factorization for image prediction", IEEE International Conference on Acoustics and Signal Processing (IEEE-ICASSP), 2012. M. Ebdelli, O. Le Meur and C. Guillemot, « Loss concealment based on video inpainting for robust video communication », European Signal Processing Conference, EUSIPCO, Aug. 2012. M. Bevilacqua, A. Roumy, C.Guillemot, A. Alberi-Morel, «Low-Complexity Single-Image Super-Resolution based on Nonnegative Neighbor Embedding » British Machine Vision Conference, BMVC, 2012. S. Cherigui, C. Guillemot, D. Thoreau, P. Guillotel and P. Perez, "Map-aided locally linear embedding methods for image prediction", IEEE Intl. Conf. on Image Processing, ICIP, Oct. 2012, among the 11 nominated for best student paper award. M. Ebdelli, C. Guillemot and O. Le Meur, "Examplar-based video inpainting with motion-compensated neighbor embedding", IEEE Intl. Conf. on Image Processing, ICIP, Oct. 2012. M. Turkan and C. Guillemot, "Locally Linear Embedding based texture synthesis for image prediction and error concealment", IEEE Intl. Conf. on Image Processing, ICIP, Oct. 2012. O. Le Meur and C. Guillemot, "Super-resolution-based inpainting", European Conference on Computer Vision, ECCV, Oct. 2012. J. Zepeda, C. Guillemot, E. Kijak "Image compression using the iteration-tuned and aligned dictionary", IEEE International Conference on Acoustics and Signal Processing (ICASSP), 22-27 May, 2011. M. Turkan, C. Guillemot, "Image prediction based on non-negative matrix factorization" IEEE International Conference on Acoustics and Signal Processing (IEEE-ICASSP), 22-27 May, 2011. J. Gauthier, O. Le Meur and C. Guillemot, " Depth-based image completion for view synthesis", 3DTV international workshop, 16-18 May, 2011. E. Bosc, V. Jantet, L. Morin, M. Pressigout and C. Guillemot, "Bit-Rate Allocation for Multi-View Video plus Depth, 3DTV international workshop, 16-18 May, 2011. V. Jantet, C. Guillemot, L. Morin,"Object-based layered depth images for improved virtual view synthesis in a rate-constrained context" IEEE International Conference on Image Processing, IEEE-ICIP, Sept. 2011. O. Le Meur, J. Gauthier and C. Guillemot, " Examplar-based inpainting based on local geometry ", IEEE International Conference on Image Processing, IEEE-ICIP, Sept. 2011. M. Turkan and C. Guillemot, "Online dictionaries for image prediction", IEEE International Conference on Image Processing, IEEE-ICIP, Sept. 2011 ( among the 8 nominated for the best student paper award) . S. Cherigui, C. Guillemot, D. Thoreau, P. Guillotel, "Epitome-based image compression", IEEE International Conference on MultiMedia Signal Processing, IEEE-MMSP, Oct. 2011. A Martin, J.J. Fuchs, C. Guillemot and D. Thoreau, "Phase refinement for image prediction based on sparse prediction", SPIE Electronic Imaging Conference on Visual Information Processing and Communication, 2010. T. Maugey, J. Gauthier, B. Pesquet-Popescu and C. Guillemot, "Using an exponential power model for Wyner-Ziv Coding", IEEE Intl. Conf. On Acoustic and Signal Processing, ICASSP 2010. J. Zepeda, E. Kijak, C. Guillemot, "Approximate nearest neighbors using sparse representations", IEEE Intl. Conf. On Acoustic and Signal Processing, ICASSP 2010. V. Toto-Zarasoa, A. Roumy, C. Guillemot, " Non-uniform source modeling for distributed video coding ", Proc. European Conference on Signal Processing, Aalborg, EUSIPCO, Aug. 2010. V. Toto-Zarasoa and A. Roumy and C. Guillemot , "Hidden Markov model for Distributed Video Coding",IEEE International Conference on Image Processing (ICIP), Sept., 2010. V. Toto-Zarasoa and A. Roumy and C. Guillemot, Non-asymmetric Slepian-Wolf coding of non-uniform Bernoulli sources, The 6th International Symposium on Turbo codes (ISTC), Sept. 2010. M. Turkan and C. Guillemot, "Image prediction: Template matching versus Sparse Approximation", in IEEE Intl. Conference on Image Processing, ICIP, Hong-Kong, 26-29 Sept. 2010 (Best Student Paper Award ). O. Crave, C.Guillemot and B. Pesquet-Popescu, ”Multiple description video coding and iterative decoding of LDPCA codes with side information”, IEEE Intl. Conference on Acoustic, Speech and Signal Processing, ICASSP, 2009. G. Rath and C. Guillemot, “Sparse approximation with an orthogonal complementary matching pursuit algorithm”, IEEE Intl. Conference on Acoustic, Speech and Signal Processing, ICASSP, 2009. M. Grangetto, C. Guillemot, E. Magli, S. Malinowski, G. Olmo, “On the performance of arithmetic and quasi-arithmetic codes for joint source-channel coding”, Newcom++ workshop, Barcelona, Apr. 2009. S. Malinowski, X. Artigas, C. Guillemot and L. Torres, “Distributed coding using punctured quasi-arithmetic codes for memory and memoryless sources”, in Proc. of the Picture Coding Symposium, PCS Chicago, 2009. Z. Chen and C. Guillemot,” Perception-oriented video coding based on a foveated JND model”, in Proc. of the Picture Coding Symposium, PCS Chicago, 2009. Z. Chen and C. Guillemot, “Perceptually-friendly H.264/AVC video coding”, in Proc. IEEE Intl. conference on Image Processing, submitted to the IEEE Intl. Conf. On Image Processing, ICIP 2009. J. Zepeda, E. Kijak and C. Guillemot, “SIFT-Based Local Image Description Using Sparse Representations”, IEEE workshop on Multimedia Signal Processing (MMSP) 2009. T. Maugey, J. Gauthier, B. Pesquet-Popescu and C. Guillemot, ”Using an exponential power model for Wyner-Ziv Coding”, IEEE Intl. Conf. On Image Processing, ICIP 2009. V. Toto-Zarasoa, A. Roumy and C. Guillemot, “ Rate-adaptive codes for the entire Slepian-Wolf region and arbitrarily correlated sources”, IEEE Intl. Conference on Acoustic, Speech and Signal Processing, ICASSP, Las Vegas, April 2008. A. Martin, J-J. Fuchs, C. Guillemot, D. Thoreau, « Atomic decompositions dedicated to AVC and spatial SVC prediction », IEEE Intl. Conference on Image Processing, IEEE-ICIP, Oct. 2008. G. Rath and C. Guillemot, “A complementary matching pursuit algorithm for sparse approximation”, European Signal Processing Conference, EUSIPCO, Aug. 2008. X. Artigas, S. Malinowski, C. Guillemot and L. Torres, “Overlapped arithmetic codes with memory”, submitted to European Signal Processing Conference, EUSIPCO, Aug. 2008. G. Rath and C. Guillemot, “An Orthogonal Complementary Matching Pursuit Algorithm for Sparse Approximation”, IEEE Intl. workshop on Signal processing and systems, IEEE-SIPS, Oct. 2008. C. Dikici, C. Guillemot, C. Fontaine, K. Idrissi, A. Baskurt, «Dirty paper coding with partial state information”, ISIVC, 2008. G. Rath, C. Guillemot, J-J. Fuchs, “Sparse approximations for joint source-channel coding and its application to image transmission”, IEEE Intl. Workshop on Multimedia Signal Processing, IEEE-MMSP, Oct. 2008. J. Nayak, G. Rath; D. Kubasov and C. Guillemot, “Spatial prediction in distributed video coding using Wyner-Ziv DPCM”, IEEE Workshop on Multimedia Signal Processing, IEEE-MMSP, Oct. 2008. W. Yang, G. Rath and C. Guillemot, “Improved spatial inter-layer prediction for scalable video coding”, IEEE Intl. Conference on Acoustic, Speech and Signal Processing, ICASSP, Honolulu, 2007. O. Dabeer, A. Roumy and C. Guillemot, “Optimal linear transceivers for the CEO problem over the Gaussian MAC”, IEEE Intl. Conference on Acoustic, Speech and Signal Processing, ICASSP, Honolulu, 2007. O. Dabeer, A. Roumy and C. Guillemot, “Linear transceivers for sending correlated sources over the Guassian MAC”, National Communication Conference, 2007. A. Martin, J.J. Fuchs, C. Guillemot, D. Thoreau, « Sparse representation for Image Prediction », European Signal Processing Conference, EUSIPCO, 2007. O. Crave, C. Guillemot, B. Pesquet, C. Tillier, « Robust video transmission based on distributed multiple description coding », European Signal Processing Conference, EUSIPCO, 2007. C. Tillier, O. Crave, B. Pesquet, C. Guillemot, « A comparison of four video multiple description coding schemes », European Signal Processing Conference, EUSIPCO, 2007. X. Artigas, S. Malinowski, C. Guillemot and L. Torres, “Overlapped Quasi-arithmetic Codes for Distributed Video Coding”, IEEE Intl. Conf. on Image Processing, 2007. D. Kubasov, K. Lajnef, and C. Guillemot, “Hybrid coder/decoder rate control for Wyner-Ziv video coding with a feedback channel”, IEEE MultiMedia Signal Processing Workshop, MMSP, Oct. 2007. Y. Liu, G. Rath and C. Guillemot, “Improved Intra prediction for H.264/AVC scalable extension”, IEEE MultiMedia Signal Processing Workshop, MMSP, Oct. 2007. J-J. Fuchs and C. Guillemot, “Fast implementation of a l_infinity-l_1 penalized sparse representations algorithm: Applications in image coding”, 41st Asilomar Conference on Signals, Systems and Computers, 4 - November 7, 2007, Pacific Grove, California. A. Roumy, K. Lajnef, and C. Guillemot, “Rate-adaptive turbo-syndrome scheme for Slepian-Wolf Coding”, 41st Asilomar Conference on Signals, Systems and Computers, 4 - November 7, 2007, Pacific Grove, California. S. Malinowski, H. Jégou and C. Guillemot, “On the link between the synchronization recovery and soft decoding of Variable Length Codes”, Proc. of the 4th International Symposium on Turbo codes, Munich, 2006. S. Malinowski, H. Jégou and C. Guillemot, “Error recovery properties of Quasi-arithmetic codes”, Proc. IEEE International Symposium on Information theory, ISIT, Seattle, 2006. M. Maître, C. Guillemot, and L.Morin, “3D scene modelling for distributed video coding”, Proc of the IEEE intl. conference on Image Processing, ICIP, Atlanta, Oct. 2006. D. Kubasov and C. Guillemot, “Mesh-based motion compensated interpolation for side information extraction in distributed video coding”, Proc of the IEEE intl. conference on Image Processing, Atlanta, Oct. 2006. G. Rath and C. Guillemot, “Critical representations of Laplacian Pyramids”, Proc of the IEEE Intl. conference on Image Processing, ICIP, Atlanta, Oct. 2006. G. Rath and C. Guillemot, “Representing Laplacian pyramids with varying amounts of redundancy”, Proc of the European Signal Processing Conference, Eusipco, Firenze, Sept. 2006. G. Rath and C. Guillemot, “Compressing the Laplacian pyramid”, Proc. IEEE Multimedia Signal Processing Conf., MMSP, Victoria, Oct. 2006. V. Chappelier, C. Guillemot, "Oriented 1D wavelet transform on a quincunx pyramid for image compression", Proc. IEEE Int. conf. on Image Processing, ICIP, Genoa, Sept. 2005. H. Jégou and C. Guillemot, "Entropy coding with variable length rewriting systems", Proc. IEEE International symposium on information theory, ISIT, Adelaide, Australia, 2005. F. Tonnin, P. Gros and C. Guillemot, "Analysis of multiresolution representations for compression and local description of images ", Proc. of the 8th International Conference on VISual Information Systems, Amsterdam, July, 2005. K. Lajnef, C. Guillemot, and P. Siohan, "Wyner-Ziv Coding of Three Correlated Gaussian Sources using Punctured Turbo Codes", Proc. IEEE Intl. workshop on signal processing systems, SIPS, Athens, 2005. S. Malinowski, H. Jégou, and C. Guillemot, "Trellis state aggregation for soft decoding of variable length codes", IEEE Intl. workshop on signal processing systems, SIPS, Athens, 2005 ( Best Student Paper Award) . T. Guionnet and C. Guillemot, "Joint source-channel decoding of quasi-arithmetic codes", Proc. of the Data Compression Conference, DCC, Snowbird, March 2004. S. Marinkovic and C. Guillemot, "Erasure Resilience of Oversampled Filter Bank Codes Based on Cosine Modulated Filter Banks", Proc. of the IEEE Intl. conference on communication, ICC, Paris, May 2004. H. Jégou, T. Guionnet and C. Guillemot, "Error-resilient and progressive transmission and decoding of compressed images", Proc. of the Intl. workshop on image analysis for multimedia interactive services, WIAMIS, Lisboa, Apr. 2004. H. Jégou and C. Guillemot, "First-order multiplexed source codes for error-resilient entropy coding", Proc. of the IEEE Intl. symposium on Information Theory, ISIT, Chicago, Jul. 2004. R. Motwani and C. Guillemot, "Filter bank frame expansion with erasures - A para-pseudo inverse based reconstruction", Proc. of the IEEE Intl. symposium on Information Theory, ISIT, Chicago, Jul. 2004. H. Jégou and C. Guillemot, "Suffix-constrained codes for progressive and robust data compression: self-multiplexed codes", Proc. of the European conference on signal processing, EUSIPCO, Vienna, Sept. 2004. S. Marinkovic and C. Guillemot, "Impulse noise correction in an image transmission system by means of an oversampled filter bank code", Proc. of the European conference on signal processing, EUSIPCO, Vienna, Sept. 2004. G. Boisson, E. François and C. Guillemot, " Efficient scalable motion coding for wide range scalable video compression " Proc. European conference on signal processing, EUSIPCO, Vienna, Sept. 2004. G. Boisson, E. François and C. Guillemot, " Accuracy-scalable motion coding for efficient scalable video compression" Proc. IEEE International Conference on Image Processing, ICIP, Singapore, Oct.. 2004. V. Chappelier, C. Guillemot, and S. Marinkovic, " Image coding with iterated contourlet and wavelet transforms", Proc. IEEE International Conference on Image Processing, ICIP, Singapore, Oct. 2004. R. Motwani, C. Guillemot, "A para-pseudo inverse based method for reconstruction of filter bank frame-expanded signals from erasures", Proc. IEEE International Conference on Image Processing, ICIP, Singapore, Oct.. 2004. K. Lajneff, C. Guillemot, P. Siohan, " Distributed Source Coding of Three sources using Punctured Turbo Codes", Proc. IEEE Intl. workshop on Multimedia Signal Processing, MMSP, Sienna, Sept. 2004. S. Marinkovic and C. Guillemot, "Joint Source and Channel Coding/Decoding by Concatenating an Oversampled Filter Bank Code and a Redundant Entropy Code", Proc. of the IEEE Intl. GLOBECOM conference, Dallas, Dec.2004. H. Jégou and C. Guillemot, "Variable length codes over noisy channel: New transmission and decoding strategies", invited paper at the picture coding symposium, PCS, San Francisco, Dec. 2004. G. Rath et C. Guillemot, "Real error and erasure correction with DFT codes for communication channels", Proc. of the IEEE Intl. Conference on Wireless Communication and Networking, WCNC, New Orleans, Mar. 2003. G. Rath and C. Guillemot, "Subspace based methods for error localization with DFT codes", Proc. of the IEEE Intl. Conference on Acoustic, Speech and Signal Processing, ICASSP, Hong Kong, Apr. 2003. H.Jégou and C. Guillemot, " Error-resilient binary multiplexed source codes", Proc. of the IEEE Intl. Conference on Acoustic, Speech and Signal Processing, ICASSP, Hong Kong, Apr. 2003. R. Motwani and C. Guillemot, "Quantized frame expansions based on tree-structured filter banks for erasure recovery", Proc. of the IEEE Intl. Conference on Acoustic, Speech and Signal Processing, ICASSP, Hong Kong, Apr. 2003. G. Rath and C. Guillemot, "Characterization of a class of error correcting frames and their application to image transmission", Proc. of the Picture Coding Symposium, PCS, Saint-Malo, Apr. 2003. G. Boisson, E. François, D. Thoreau, C. Guillemot, " Motion-compensated Spatio-temporal context-based adaptive entropy coding for full scalable video coding ", Proc. of the picture coding symposium, PCS, Saint-Malo, Apr. 2003. G. Rath et C. Guillemot, "A subspace based method for error correction with DFT codes", Proc. of the IEEE Intl. Communication Conference, ICC, Seattle, May 2003. H. Jégou et C. Guillemot, "Source multiplexed codes for error-prone channels", Proc. of the IEEE Intl. Communication Conference, ICC, Seattle, May 2003. R. Motwani et C. Guillemot, "Filter bank frame expansions as joint source-channel codes for robustness to erasures", Proc. of the IEEE Intl. Symposium on information theory, ISIT, Yokohama, Jul. 2003. G. Rath and C. Guillemot, "Error and erasure correction using overcomplete frame expansions", Proc. of the IEEE Signal Processing Workshop on Signal Processing Advances in Wireless Communications, SPAWC, Rome, Jul. 2003. J. Viéron et C. Guillemot, "Low rate FGS video compression based on motion-compensated spatio-temporal wavelet analysis", Proc. of the SPIE Intl Conference on Visual Communication and Image Processing, VCIP, Lugano, Jul. 2003. R. Motwani and C. Guillemot, "Two-channels oversampled filter banks as joint source-channel codes for erasure channels", Proc. of the IEEE Intl. Conference on Image Processing, ICIP, Barcelona, Sept. 2003. G. Rath and C. Guillemot, "A subspace algorithm for error localization with overcomplete frame expansions and its application to image transmission", Proc. of the IEEE Intl. Conference on Image Processing, ICIP, Barcelona, Sept. 2003. T. Guionnet and C. Guillemot, " Robust decoding of arithmetic codes for image transmission over error-prone channels " Proc. of the IEEE Intl. Conference on Image Processing, ICIP, Barcelona, Sept. 2003. G. Rath and C. Guillemot, " ESPRIT-like Error Localization Algorithm for a Class of Real Number Codes", Proc. of the IEEE Intl. Globecom Conference, San Francisco, Nov. 2003. Fabrice Le Leannec (Oct. 97 - Jan. 01), "Codage video scalable et robuste pour la transmission sur Internet", Univ. of Rennes 1. Xavier Hénocq (Oct. 98 - Nov. 01), "Controle d’erreur pour transmission de flux video temps reels sur reseaux de paquets heterogenes et variant dans le temps", Univ. of Rennes 1. Gaetan Le Guelvouit (Oct.2000-Sept.2003),"Tatouage robuste par étalement de spectre avec prise en compte de l'information adjacente", PhD thesis Univ. Rennes 1, Co-supervision with Stephane Pateux. Sebastien Brangoulo (Oct. 2001-Nov. 2004), "Compression scalable de signaux video", PhD thesis, Univ. of Rennes 1, Cifre with France Telecom. François Tonnin (Oct. 02 - Sept. 05), "Representations multiresolution pour la compression et la description locale d’images ", PhD thesis, Univ. of Rennes 1, co-supervision with Patrick Gros. Guillaume Boisson (Oct. 01 - Jan. 05), Univ. of Rennes 1,"Compression d’images vidéo basee ondelettes pour des reseaux de type Internet", Cifre Ph.D with Thomson. Josselin Gautier (Oct.2009-Sept.2012), "Representation et codage perceptuel de sequences 3D", PhD thesis, Univ. Rennes 1, Co-supervision with Olivier Le Meur. Mikael Le Pendu (Jan.13-Dec.15), "Backward-compatible approaches for the compression of High Dynamic range videos", PhD Univ. Rennes 1, co-supervised with D. Thoreau, Cifre Ph.D Technicolor. Julio Cesar Ferreira (Sept.2012-Oct. 2015), co-tutelle between Univ. of Rennes 1 and Univ. of Uberlandi (Brazil). Nicolas Dhollande (Nov.12-Oct.15),(co-supervision with O. Le Meur), Cifre Ph.D with Thomson Video Networks.